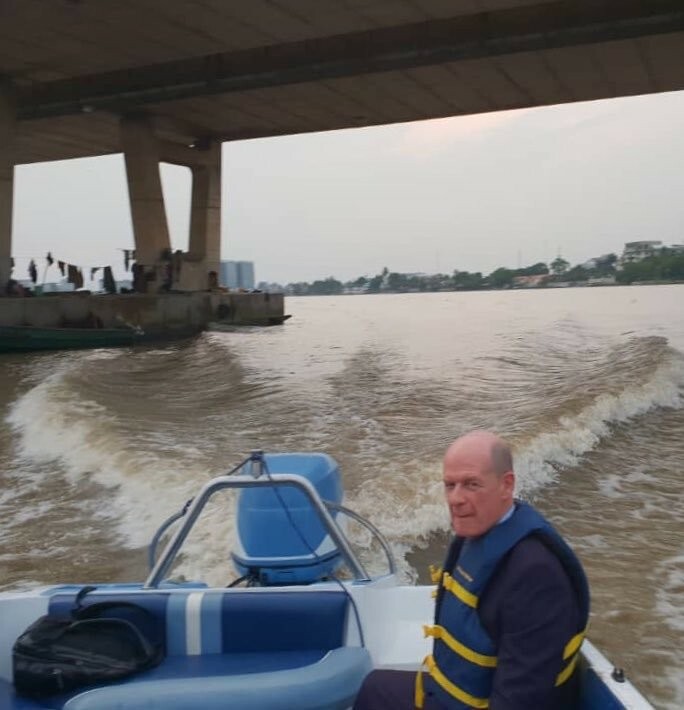 The ambassador of Ireland to Nigeria, Mr. Sean Hoy has revealed how he was able to beat the ever-present Lagos traffic to get to a very important function. He was on his way to his own farewell reception, faced with traffic issue, he decided to take a speedboat and ride the waters to meet up. He shared a pic of himself on his speedboat and wrote: "To beat the traffic in Lagos, I had to use a speedboat to get to my own farewell reception on time!"